In earlier studies by the authors, basic regularities of author self-citations have been analysed. These regularities are related to the ageing, to the relation between self-citations and foreign citations, to the interdependence of self-citations with other bibliometric indicators and to the influence of co-authorship on self-citation behaviour. 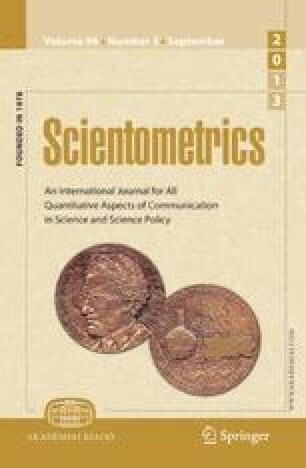 Although both national and subject specific peculiarities influence the share of self-citations at the macro level, the authors came to the conclusion that - at this level of aggregation - there is practically no need for excluding self-citations. The aim of the present study is to answer the question in how far the influence of author self-citations on bibliometric meso-indicators deviates from that at the macro level, and to what extent national reference standards can be used in bibliometric meso analyses. In order to study the situation at the institutional level, a selection of twelve European universities representing different countries and different research profiles have been made. The results show a quite complex situation at the meso-level, therefore we suggest the usage of both indicators, including and excluding self-citations.